A great Zambian Coffee reminds me at once of the majestic powerhouse Kenya, but exhibits more subtle Tanzanian notes as well. It turned many heads in our coffee house and customers have been requesting more ever since! As really good Zambians are difficult to find, we must heap thanks upon our green coffee importer "who hath cupped well!" This country, once known as upper Rhodesia, is now named after the Zambezi River. 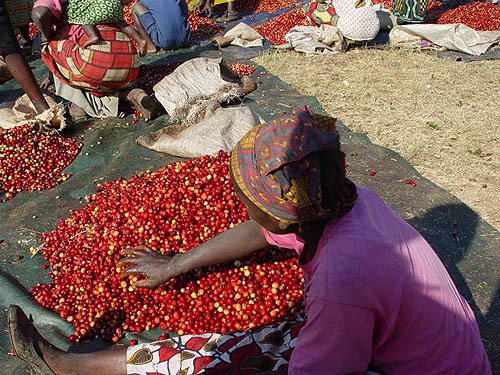 The coffee is grown in the Northern district of the Muchinga Mountains near the captial city of Lusaka. It was introduced with seedstock from Tanzania and Kenya in the 1950's. Some estate coffees from the eastern portion of this East African country have appeared in the North American specialty market. Although these coffees are relatively little known in Specialty Coffee circles thus far, we have experienced the emergence of some outstanding varietals of late. We cupped a "Falcon Zambica" AAA and were astounded at the quality and our customers have been buzzing about it ever since! These coffees are endowed with fine balance of full body and bright acidity but tend toward the softer, less acidy version of the African coffee profile. 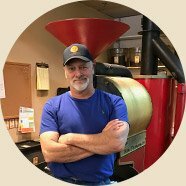 Go To The Specialty-Coffee-Advisor Home Page!